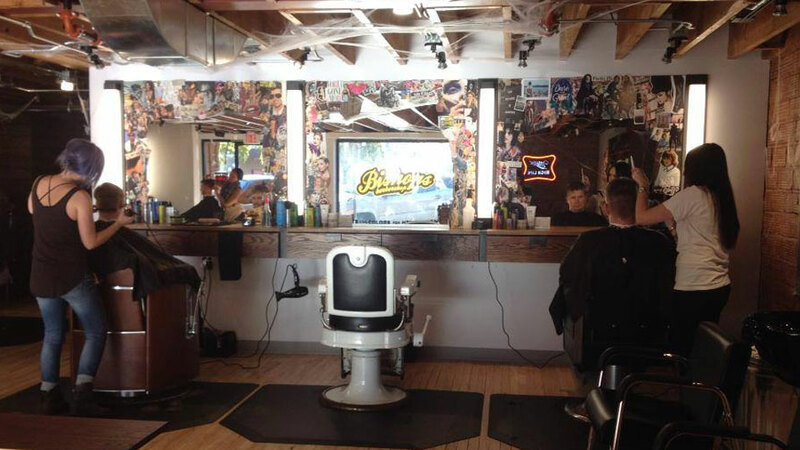 A full-service barber shop that began in Portland, Oregon in 2001, the downtown Bend location was the fifth store this rapidly expanding company opened. Named for the founder’s St. Bernard/Rottweiler mix, Bishop, the original concept was launched to combat the problem that a good hair cut was expensive and an affordable one was bad. You’re invited to enjoy a casual, fun environment that includes edgy artwork and music, and trend-setting stylists. Clients are taken on a walk-in only basis- although you can check in online to reduce your wait time- and choose from an a-la-carte menu of services that includes style, shampoo, blow dry, a variety of cut and color options, or even a hot towel shave, and a free bottle of cold Miller High Life is offered to those who are 21 and older. They offer free color consultations and haircuts start at $29 for short hair and $33 for long hair, with trims costing less.